You may quickly find out that your South Florida garden won’t just survive, but thrive! 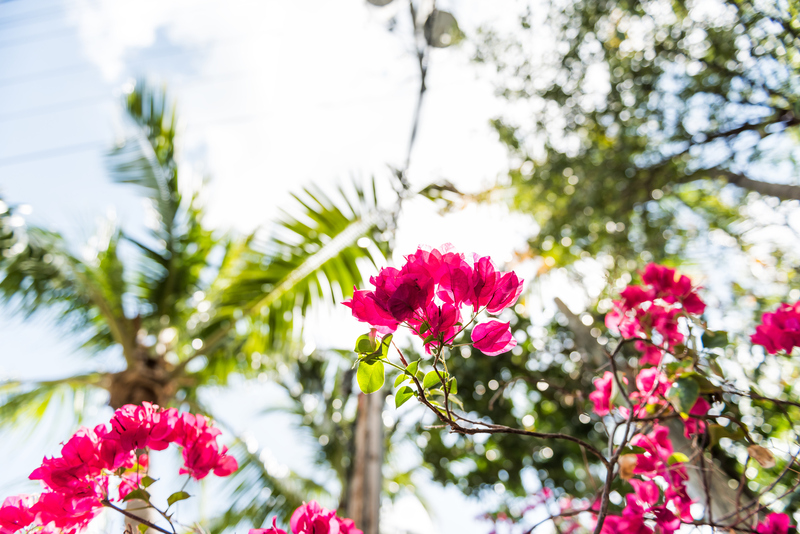 Although many feel like Florida’s warm weather and hot, sticky, humid summers may stifle their plants, readers need not look any further than Florida’s best spring flowers to plant from Frank’s Lawn! Some green-thumbed Floridians also call these “angel wings” or “elephant ears.” The interiors of these beautiful flowers impart an appealing pink hue. This plant is a summer favorite as one of the best spring flowers in to plant in South Florida, but remain popular amongst central Floridians as well. This is mainly due to their propensity for growth when the ground is warmer than 70 degrees. Unfortunately, for our Tampa and Orlando brethren, this means that the plant won’t likely survive their winter temperatures. Egyptian star flowers or “pentas” bloom all year long. They grow best in areas that rarely experience frost. This makes them a perfect choice for the best spring flowers to plant in the South Florida community. Pentas bloom in a variety of different colors including red, pink, blue , and purple. Many Floridians simply rave about how easy they can grow Egyptian star flowers in Florida. These low maintenance flowers remain of the easiest to grow in Florida. Certainly, the best spring flowers to plant on our list with the most fitting Floridian name. This plant is native to Cuba and Central America. As a result, it remains an ideal solution for gardens in humid, subtropical areas. Sound anything like Central or South Florida to you? We call them rain lilies because they typically bloom just after a nourishing rainfall. Summertime represents the ideal time to see these beautiful lavender plant bloom in abundance. This plant is a perfect selection for landscaping because of their yellow bracts extended from pretty white flower petals. An ideal selection for Florida’s rainy seasons, this tropical plant may bloom starting in early spring, all the way through late September. Summer showers are right around the corner. This is good news for the golden shrimp plant as they need the most water during the hot Florida summer months. Blooming pink and white begonias impart a traditional sign notating the arrival of spring in many parts of Florida. However, in Florida, begonias adorn many a garden in our area throughout the entire year. Homeowners can easily enjoy these plants for one simple reason; they just simply bloom. They love water and fertilizer so you must ensure you provide them with a generous amount of both. Begonias bloom virtually anywhere you put them, but they like just a little bit of shade the most. Most of the country looks at our beautiful, sunny state as a tropical climate. Nevertheless, this is often something that both lifetime residents and migrants frequently overlook when planning out a garden. Many cold weather plants simply will not grow in Florida. The best plants and flowers for gardens in the south Florida community remain those used to a tropical climate. To learn more about the best spring flowers to plant this season, contact Frank’s Lawn & Tree Service for our expert assistance!